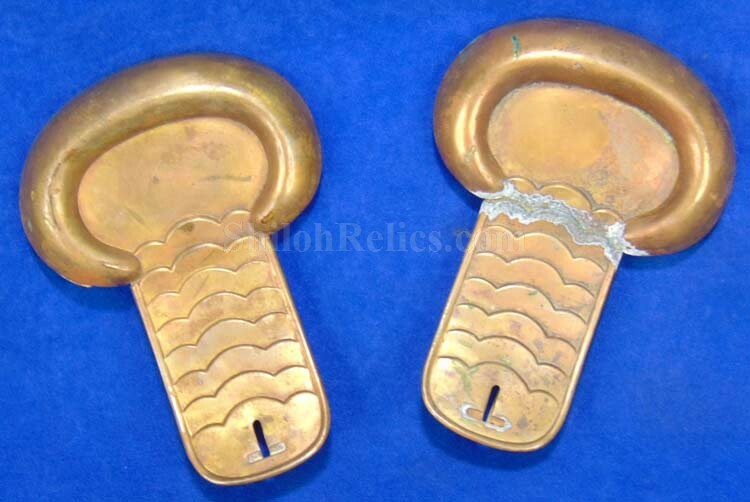 This is only the 3rd set of brass shoulder scales of this style that we have been able to offer in our 25 years in dealing and Civil War artifacts. 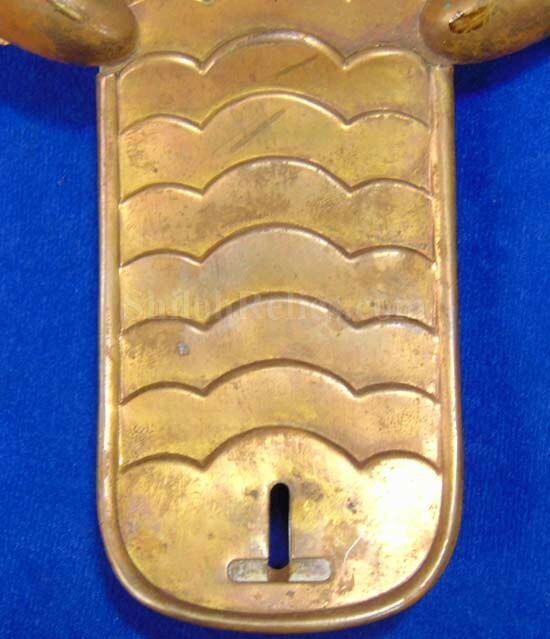 This is the version of brass shoulder scales that were designed to be worn by member of the Marine Corps. 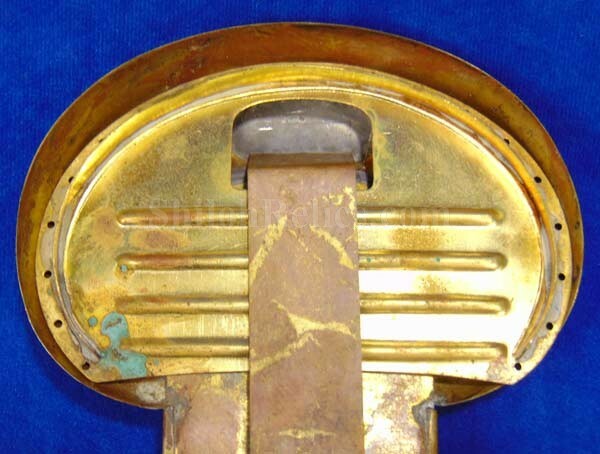 This style is illustrated on page 168 of the Time-Life book series Echoes of Glory. 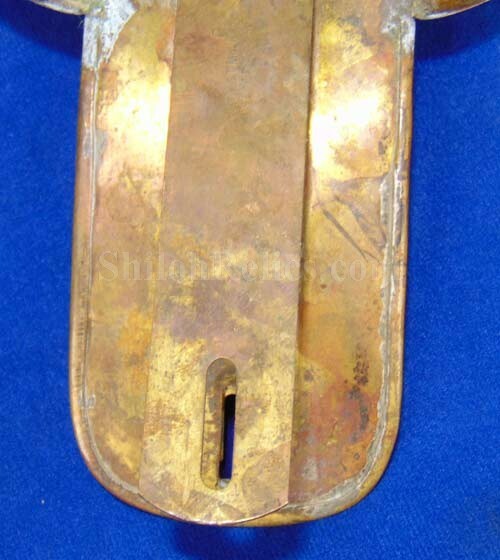 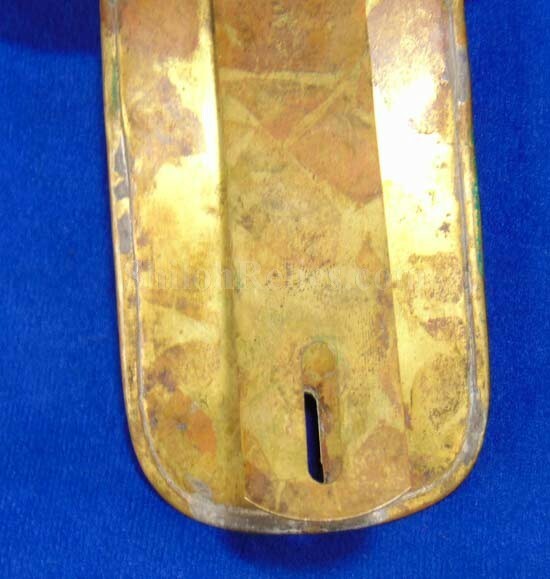 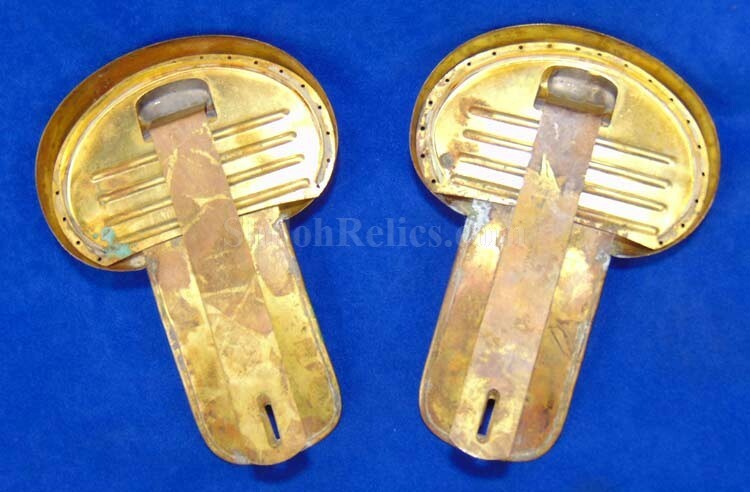 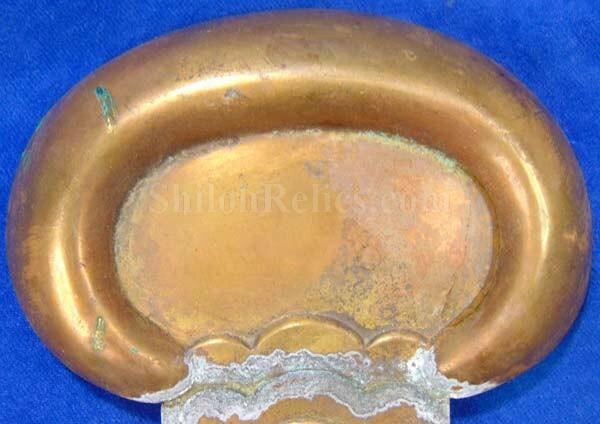 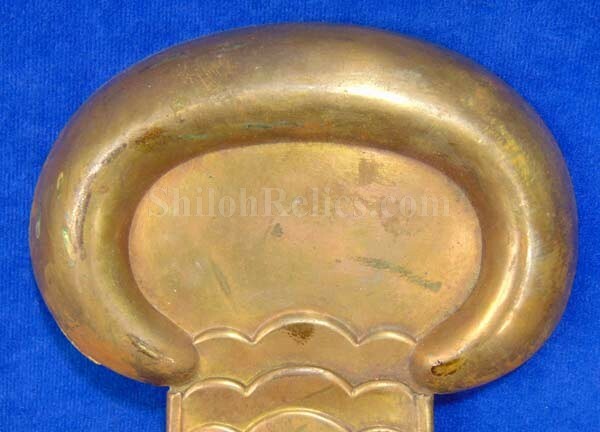 They look very similar to the standard Civil War shoulder scales except these have the scale portion it that is made up of a single piece of brass instead of multiple small pieces. 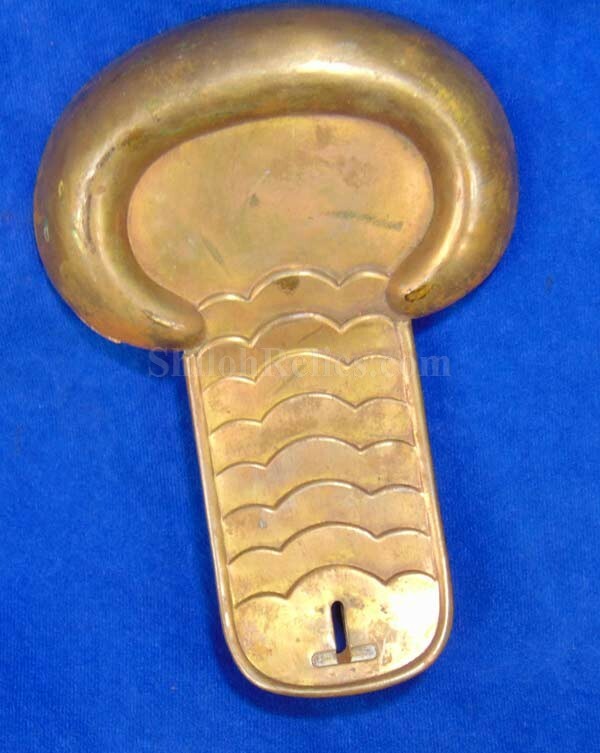 They are also designed on the underside so fringe brass bullion could be added. 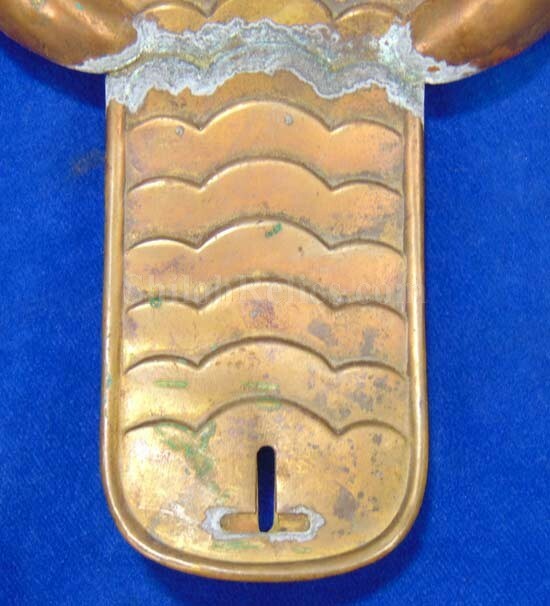 On the underside of each piece. 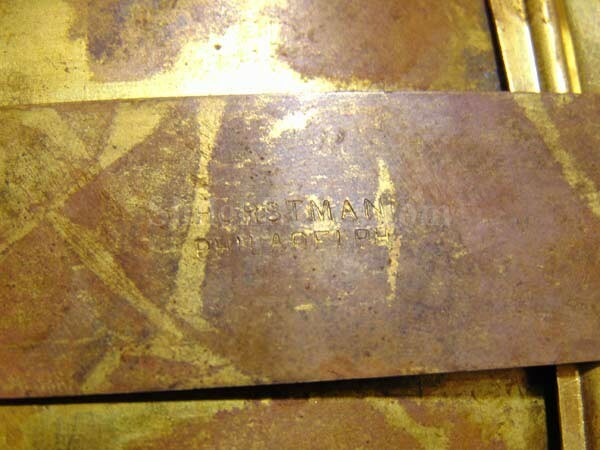 They have the Philadelphia maker's Mark of the famous firm of Horstmann. 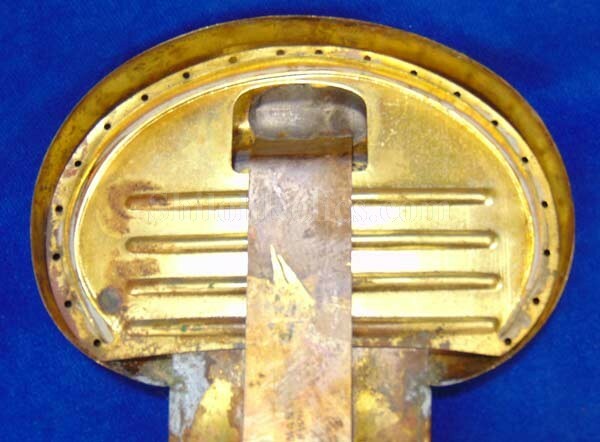 The pieces are in very fine condition all over. 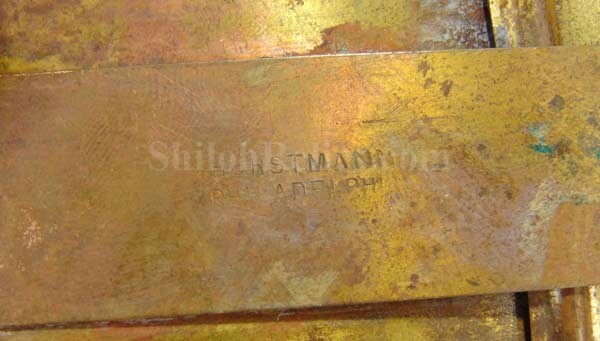 They measure 7" x 4.875" at the widest points. 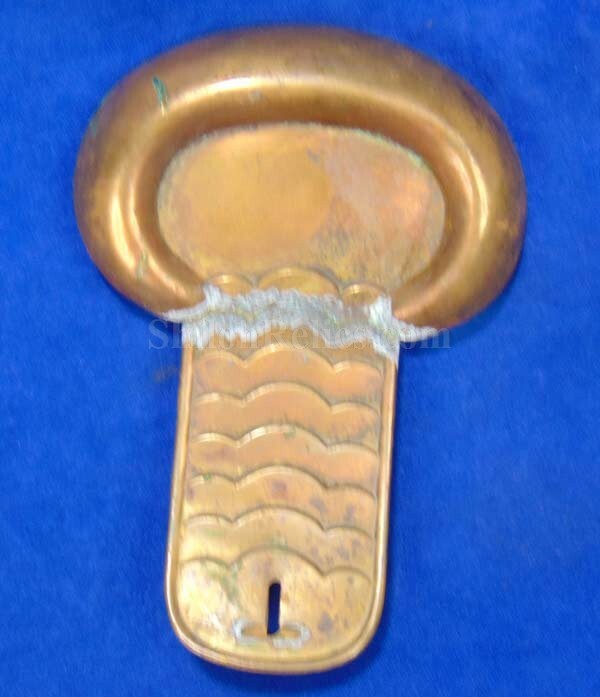 This is your chance at a very scarce accoutrement piece.